A gift of solar panels for Kirribilli House has been rejected by Australia’s Federal Government. Late last year Australian Christian group Common Grace launched a crowdfunding campaign with a goal of installing solar panels on Kirribilli House, the official New South Wales residence of Australian Prime Ministers. The campaign was successful – enough was raised for a 12-module system and the Australian Solar Council offered to install the solar panels at no cost. However, the Government has rejected the offer, noting Kirribilli House’s heritage listing and claiming ongoing costs of cleaning and maintenance, plus “security concerns”. Common Grace says the rejection letter came via Michael McCormack MP, in his capacity of parliamentary secretary to the finance minister. Common Grace aren’t giving up. The group has published an open letter appealing to the Prime Minister to reconsider accepting the gift of the solar power system. They state installing the system will act as powerful signal to the world that Australia’s renewables industry is officially “open for business” as PM Abbott put it – but perhaps when it comes to energy, that may have just been in relation to coal. Appealing to Prime Minister Abbott’s Catholic roots, the open letter notes Pope Benedict accepted a gift of 2700 solar panels to provide clean energy to the Vatican in 2008. 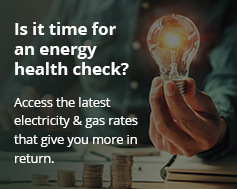 It also allays concerns regarding maintenance and points out Sydney Lord Mayor Clover Moore has had solar power systems installed on heritage-listed buildings, including on Sydney Town Hall in 2009. The Hall went on to win the prestigious National Trust Heritage Award the following year. A solar powered building housing a country’s leader would not be a first – US President Barack Obama had solar panels installed on the White House early last year. He wasn’t the first president to install solar either – that distinction goes to President Jimmy Carter. Unfortunately, that system was removed in 1986 by President Ronald Reagan who believed the installation “didn’t befit a super-power”. “Prime Minister, we believe that a man in your position can overcome challenges like heritage listings and cleaning concerns and choose a brighter future for all Australians,” says part of the letter from Common Grace, which has been signed by more than 700 Australians so far. The letter will be delivered by various members of the clergy and others from Common Grace to the electorate office of Prime Minister Tony Abbott in Manly at 8:45am today.